Ron E. Thompson is a Partner in the Tax and Accounting Department of White, Zuckerman, Warsavsky, Luna, & Hunt, LLP. He is responsible for the delivery of tax, estate planning, accounting, and other attestation services to clients, which consist principally of small business enterprises and individuals. Those clients cover a broad range of professions and industries including manufacturing, non-profit, food service, real estate, entertainment, and apparel. 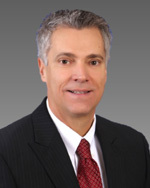 Prior to joining White, Zuckerman, Warsavsky, Luna, & Hunt, LLP, Mr. Thompson was the Chief Operations Officer and Chief Financial Officer at The Elements Financial Group, LLC from 2008 to 2013 where he set up all accounting, compliance and operational systems for an asset management platform provider as the startup company’s assets under management grew to $500 million. Prior thereto, Mr. Thompson was a Partner at White, Zuckerman, Warsavsky, Luna, & Hunt, LLP from 1996 to 2006 and a manager at Edward White & Co. from 1989 to 1996 where he also served small business enterprises and individuals. Prior thereto, he spent over seven years as a finance manager in the defense industry and as the controller of a high tech company. Mr. Thompson has extensive experience in all aspects of income and estate taxation including minimizing income and estate taxes. He also regularly represents clients before the Internal Revenue Service and other taxing agencies during audits of individual, business, estate and sales taxes. He has managed financial statement audits of numerous companies including several manufacturing companies with sales in excess of $50 million and plant locations throughout the United States. He has extensive experience in business consulting including cash planning and operations budgeting and he regularly advises clients on areas to improve operating efficiency and profitability. including partnership disputes, wrongful termination, and the tax aspects of damages against the United States Department of Justice. He has also assisted in writing a court advisory report regarding the propriety of partner capital accounts and amounts due to and from related entities. Mr. Thompson received his Bachelor of Arts degree from the University of California at Los Angeles in Economics. He is a Certified Public Accountant and a CERTIFIEDFINANCIAL PLANNER ™ practitioner. He is a member of the American Institute of Certified Public Accountants and the California Society of Certified Public Accountants.